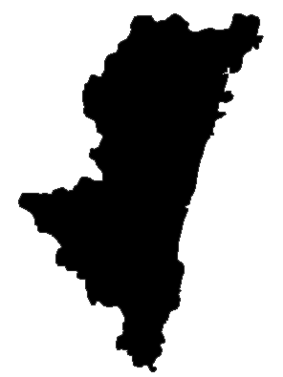 Miyazaki Prefecture (宮崎県, Miyazaki-ken) is a prefecture of Japan located on the island of Kyushu. The capital is the city of Miyazaki. 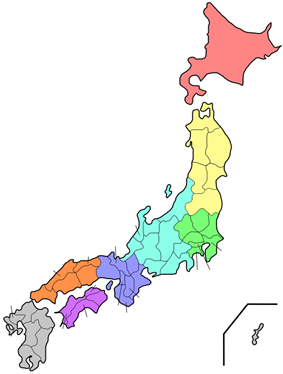 Historically, after the Meiji Restoration, Hyūga Province was renamed Miyazaki Prefecture. Miyazaki Prefecture is located on the eastern coast of the island of Kyushu, surrounded by the Pacific Ocean to the south and east, Ōita Prefecture to the north, and Kumamoto and Kagoshima Prefectures to the west. It is one of only two locations on Earth where the fungus Chorioactis geaster is found. 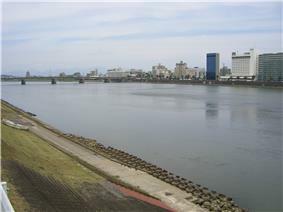 Miyazaki is the home of the hyuganatsu fruit. As of April 1, 2012, 12% of the total land area of the prefecture was designated as Natural Parks, namely the Kirishima-Yaku National Park; Kyūshū Chūō Sanchi, Nichinan Kaigan, Nippō Kaigan, and Sobo-Katamuki Quasi-National Parks; and Mochio-Sekinoo, Osuzu, Saitobaru-Sugiyasukyō, Sobo Katamuki, Wanitsuka, and Yatake Kōgen Prefectural Natural Parks. The sports teams listed below are based in Miyazaki. ^ Nussbaum, Louis-Frédéric. (2005). "Miyazaki prefecture" at p. 651Annales des empereurs du japon, , p. 651, at Google Books. ^ Nagao H, Kurogi S, Kiyota E, Sasatomi K. (2009). "Kumanasamuha geaster sp. nov., an anamorph of Chorioactis geaster from Japan". Mycologia 101 (6): 871–877.